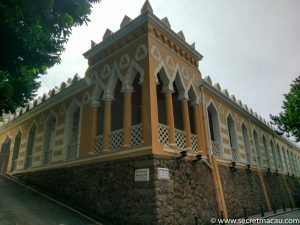 The Moorish Barracks (Edifício da Capitania dos Portos, 港務局大樓) was built in 1874 in order to accommodate a regiment from Portuguese held Goa, India, who were brought over to reinforce Macau’s police force. Brick built, in a new-classical style, it was designed by an Italian architect in the Mughal style, standing on a raised granite platform. 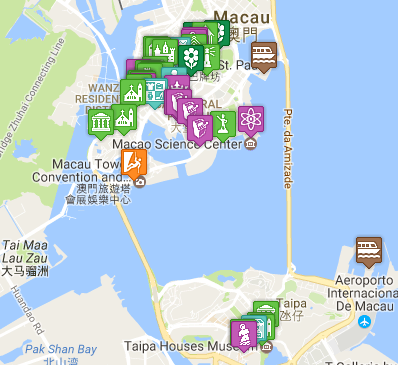 In 1905 it became the headquarters of the Macau Port Authority. Currently it is the headquarters of the Marine and Water Bureau.